Espadrilles, or as they are originally named, Espardenyes, are very comfortable flat, and sometimes high heeled, or wedge sole shoes. Espadrilles are identified by their canvas or cotton fabric uppers and flexible soles, manufactured from Esparto rope. Espadrilles come in a huge variety of designs and colors today, and have become a particularly loved fashionable shoe type. Though in this article we are mainly going to look at the Espadrille as a comfortable walking shoe, and the features for you to consider. The Espadrille was first documented in 1322 where it was described in its Catalan name, Espardenya, referring to a shoe made with Esparto, which is a tough and wiry Mediterranean grass. 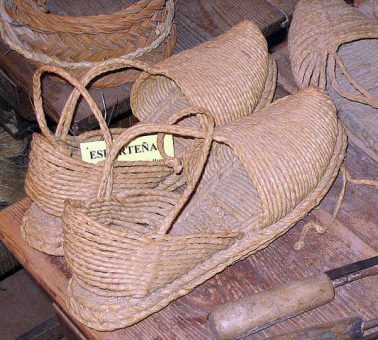 Espadrilles have been made in France in the Occitania region, as well as all over Spain, where they were generally used as footwear for peasants. As described the original espadrille has a Canvas upper with the toe and vamp that are cut into one piece, and then seamed to the rope sole ate the sides. Though the Espadrille in the early days featured the Esparto sole, JUTE has since come into play, as a more durable, and breathable option for the sole. The Espadrille has a very complex design, which requires extra attention to detail, therefore their quality and craftsmanship are excellent compared to other shoe types. Once only peasant footwear, today Espadrilles are a high Fashion, and very comfortable shoe worn by millions of men and women alike. The variety in colors, designs and materials used for this style of shoe has also advanced and become much more generous and vast. You can likewise no choose an espadrille in a flat, wedge sole or high heel type shoe, with an open or closed toe design. The Closed espadrille style, with durable rubber outsole and comfort footbed, has similarly become an ideal in walking shoe, that looks casual, feels comfortable, and is highly durable. A Midsole manufactured from Jute or traditional Esparto material. A comfortable and cushioned insole. A durable rubber outsole that offers good traction. Canvas or Cotton upper construction that is breathable and comfortable. Moisture-wicking Pig Skin or Suede lining to keep your feet dry. 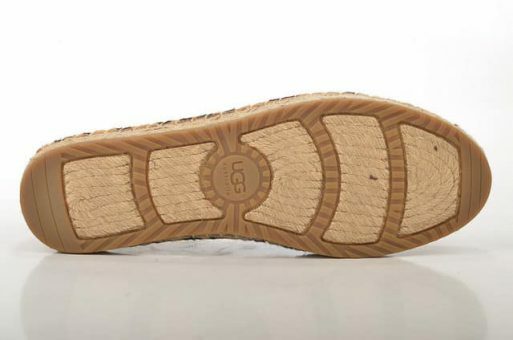 Patterned or grooved outsole for walking on slippery surfaces. Lace-up ankle straps for a secure fit. Breathable sole and upper material construction. High wedge sole, platform sole, or flat sole. Open sandal design or a closed slip on design. The Bobs Flexpadrille from Skechers is the perfect Espadrille for walking, as it features many comfort and support characteristics that are ideal for shock absorbency and cushioning. Pure and comfortable fabric uppers that are breathable and soft against the skin, with a closed toe design and closed heel. A slight one inch platform in the traditional espadrille style. Jute wrapped wedge and goring at the vamp. A high traction rubber outsole and cushioned footbed for comfort. Very comfortable and flexible design. Available in a large range of color options. The Viscata Wedge Espadrille has a breathable and open design, with ankle straps for a better fit. A beautiful handcrafted design made in Barcelona Spain, to perfection in the idyllic original Espadrille style. Features a 2.5-inch wedge with a natural and durable rubber outsole as well as Jute wrapping. A soft padded insole for comfort and, cotton canvas uppers that are highly breathable and lightweight. Cute and feminine designed ankle laces for a snug fit. with a bit of flair. Available in plenty of fabulous and bright color options for your preference. A fun and feminine styled Espadrille for every occasion, available in a large variety of vibrant colors, as well as some cool and stylish print options. Features some stunning pattern or color variety upper straps manufactured from high quality and durable, synthetic leather. A buckle closure ankle strap for a secure fit, with decorative detail. Solid espadrille Jute wrapped Wedge midsole with a synthetic patterned lug outsole, ideal for walking on all terrain. The footbed is slightly padded for support and comfort, as well as good shock absorbency. An open and classy sandal design that you can walk with and wear to more formal/smart occasions. In this TF Star Model range of casual walking Espadrilles there are three options in; GREY, TAN and BLACK each with their own unique decorative details and a comfortable fit. Microfiber Suede uppers in a completely closed style slip-on shoe with a Jute midsole. The pigskin insole is lightweight and absorbs moisture to prevent odors, while keeping your feet dry and comfortable. Breathable and durable soles that offer excellent traction for better stability. Sift and comfortable cushioning in the footbed, to supp[ort your feet and add shock absorbency. These are the perfect Espadrille style sneakers for walking, featuring a breathable design with a non-slip rubber outsole. Non-Slip durable rubber outsole, which is perfect for walking on uneven and slippery surfaces or outdoor terrain. Soft Canvas uppers that are highly breathable, with a perforated design. A Cushioned insole for support and comfort with a breathable design. Slight platform for better stability, and a more sophisticated appeal. Let’s face it, espadrilles are a summer shoe, they are light and breathable with that summery feel to them. These are an excellent option for walking on the beach or in wet and rainy conditions and are similarly available in some lovely neutral and light colors as well as a few dark color options. Classic espadrille design that is completely water friendly made from neoprene. Flat and flexible neoprene uppers with a protective rubber deck sole for all-day wear. Quick drying design ideal for the beach or pool area. Available in a few neutral and light color varieties, as well as two dark colors. A great walking shoe particularly for wet or sandy terrain and in those hot summer days.